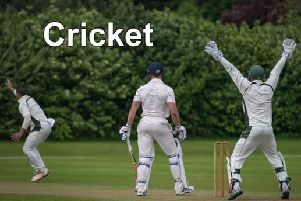 Woodhall Spa CC skipper Jack Luffman wants to claim the scalp of Lincs ECB Premier leaders Bracebridge Heath - so he can sign off with a win. After more than a decade at Jubilee Park, Luffman is leaving the club to begin a new life in Dubai. But he hopes there is still time to have a say in the title race. “It’s a tough one to finish with, but it would be nice to end on a win,” said Luffman. “I’ll miss the club, I’ve been involved here a long time, since 2006 and moved here soon after. “I became captain 10 years ago, it’s a long time. “It will be tough not being involved amore. On the field, Luffman says the highlight of his time with the Spa men was winning the Winkworth Cup in 2014, only for Billy Root, the brother of England’s Joe, to inspire Sheffield Collegiate to victory in the regional stages of the T20 competition. There have also been successful fundraisers at Jubilee Park, most notably the visits of Lashings and the PCA England Masters. “We’ve had some great times at the club, but nothing makes you prouder than seeing the juniors do well and get promoted to the first team,” he added. Prasanna Jayawardene will take over from Luffman as skipper.